When staring disaster in the face with a mission to defy Mother Nature’s destructive power, you need a tough vehicle you can rely on. For director Jan de Bont’s depiction of the movie Twister, a Dodge Ram pickup was selected as the rugged hero car. 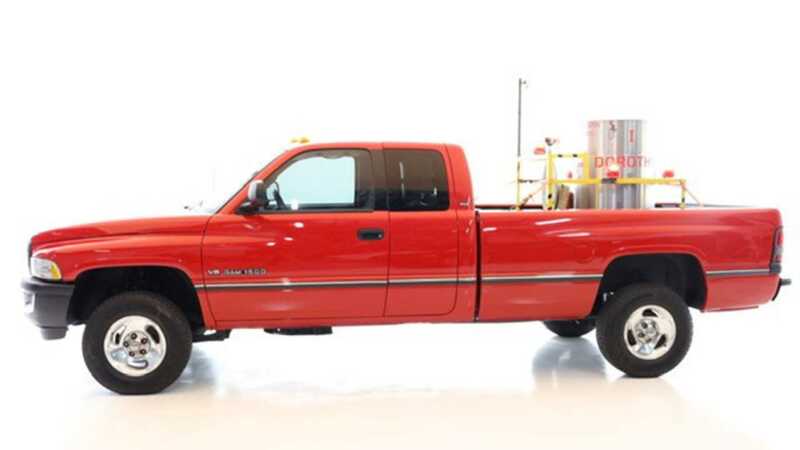 Now’s your chance to drive home in a faithful replica of the truck that took on a tornado. 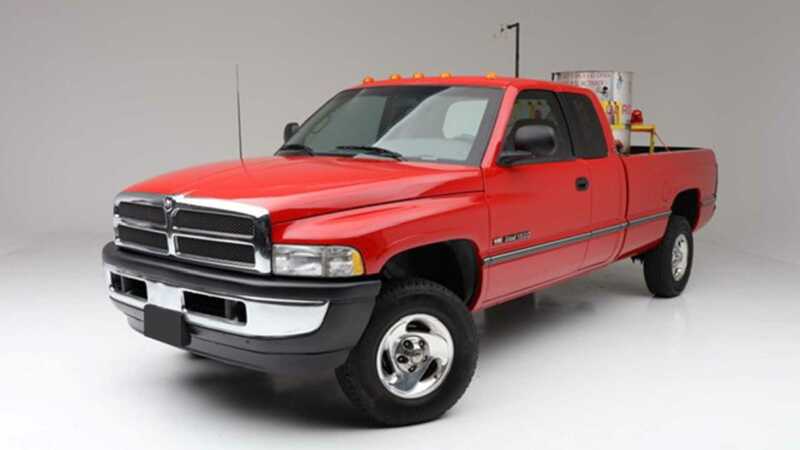 Lot #376 of the up and coming Palm Beach Barrett-Jackson auction is a 1998 Dodge Ram 2500 4x4. Mimicking the 1996 example driven by lead actor Bill Paxton during the filming of Twister, this well-presented pickup comes complete with a ‘Dorothy’ movie prop in the flatbed. 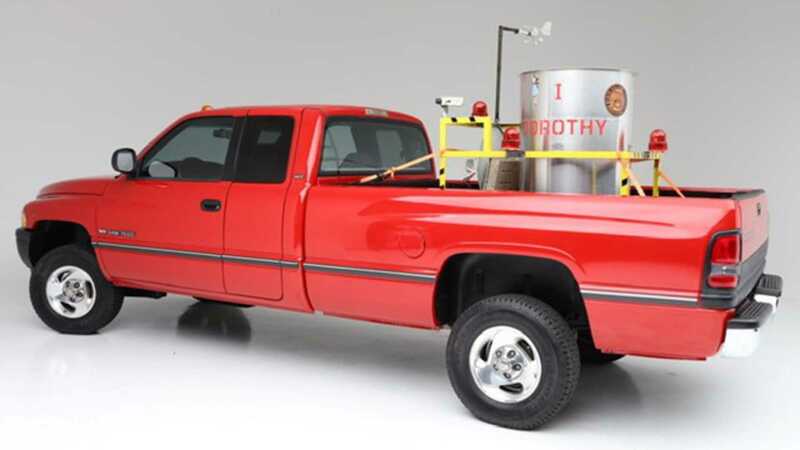 The cylindrical contraption is a fictional weather monitoring device that the truck deployed into the path of a raging tornado. The Dodge itself looks in great condition, with just a small tear at the edge of the driver’s seat. 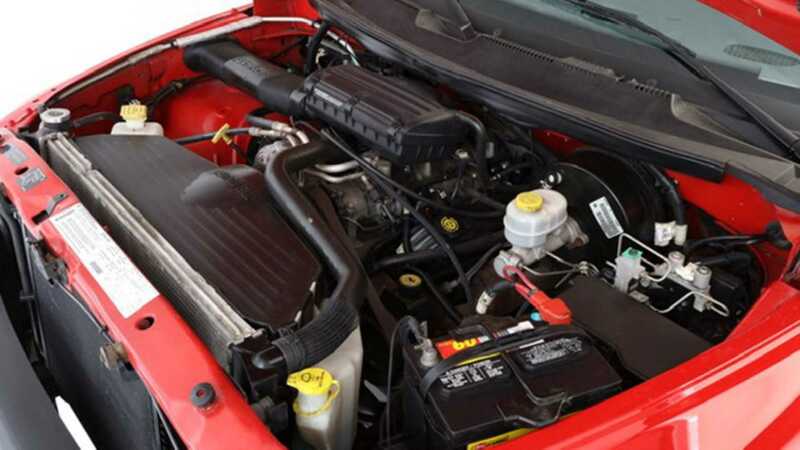 Under its hood is one of the cleanest 5.9-liter 8-cylinder engines we’ve ever seen, something that makes use of the vehicle’s 4-speed automatic transmission and all-wheel drive. The Twister movie proved to be good promotion for this pickup with scenes depicting it doing battle with one of nature’s most dramatic and destructive spectacles. Driving through hurricane-force winds, dodging debris, barreling across ploughed fields, and leading the charge to deploy its probe into the mouth of the spiralling storm. The director clearly needed a hardy 4x4 capable of reliably taking the abuse of filming action sequences, with he Ram being a great choice. 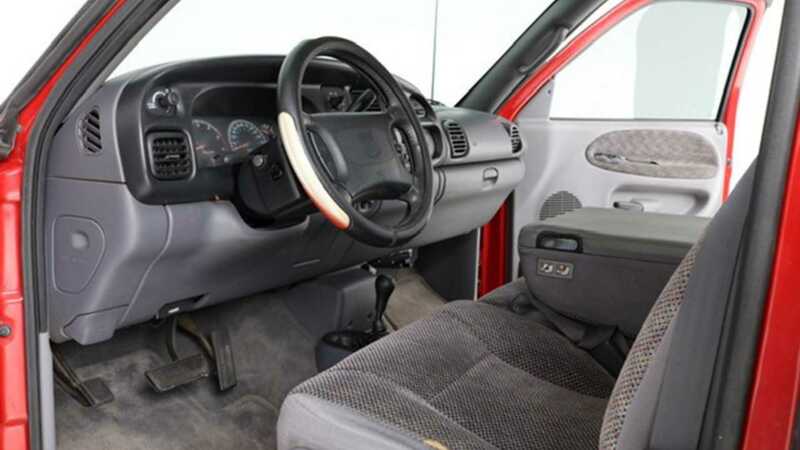 The Dodge shared its screen time with several other 4x4s including a 1989 Chevy Suburban V2500 Dually, a modified Jeep J10, and a Ford F150 camper. While we wouldn’t recommend attempting to recreate the big-screen adventure of the heroic storm chasers, you can at least own a Dodge Ram just like the one in the movie. It hits the auction blocks at Palm Beach April 11-13, 2019.